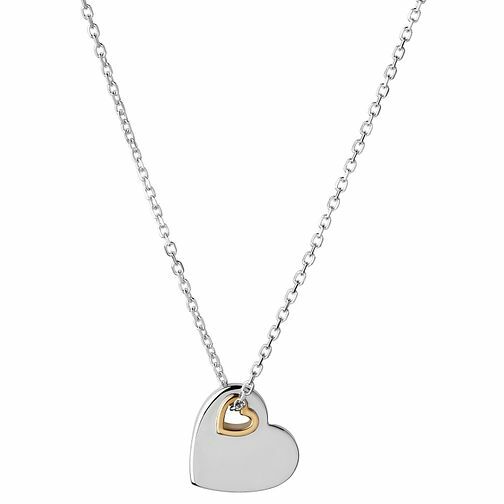 Charmingly crafted from silver, this chic Links of London pendant boasts a fine chain, adorned with a polished heart pendant, embellished with a miniature cut-out heart design outlined in yellow gold. A timeless two-tone pendant, a gorgeous finishing touch to any outfit, from day to night. Links of London Silver & Yellow Gold Plated Heart Pendant is rated 5.0 out of 5 by 7. Rated 5 out of 5 by Anonymous from Very stylish Bought for a friend's birthday gift. Looks beautiful.